Here is a brief article by Martha Mangelsdorf for MITSloan Management Review. To check out other articles, obtain subscription information, and sign up for email alerts, please click here. o Community. Catmull stresses the importance of building a sense of community, where talented people trust each other and can work well together. o Candid feedback. Catmull explains that Pixar has a system where a director-producer team can call on a “brain trust” of other directors to review their work in progress and discuss it — but the movie director and his or her team can decide what, if anything, they do with the feedback they get, and the “brain trust” members providing the reviews have no authority to impose their feedback. That Catmull writes, frees up the directors to ask for help and to consider the advice thoughtfully. o Making connections. The company has mechanisms to encourage interaction between people; its in-house Pixar University includes not only business-related courses but also classes like yoga that can bring people from different disciplines together. And Pixar’s building is designed to deliberately encourage chance interactions between people: The building is centered around an atreum that houses meeting rooms, bathrooms and the cafeteria. I highly recommend Catmull’s book, Creativity, Inc.: Overcoming the Unseen Forces That Stand in the Way of True Inspiration, published by Random House (2014). 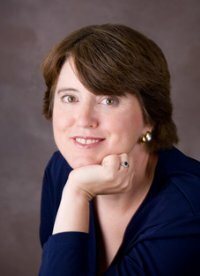 Martha E. Mangelsdorf is the editorial director of MIT Sloan Management Review and author of Strategies for Successful Career Change: Finding Your Very Best Next Work Life.